Bak Kut Teh is tastier when the weather is gloomy or when it’s pouring. 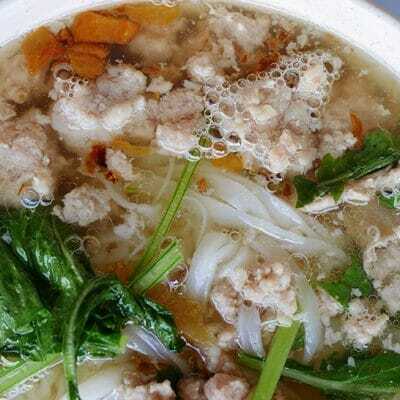 There’s nothing like a bubbling hot claypot of herbal soup with tender pork ribs and pork belly, I feel. 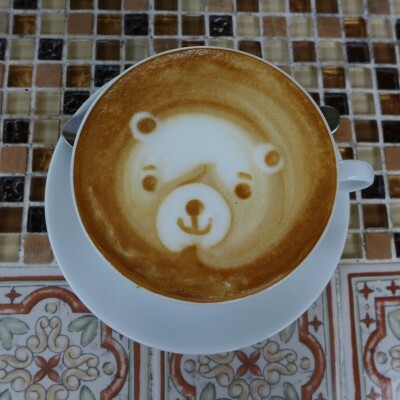 It was raining heavily when rif and I left Putrajaya, after a weekend excursion and we were in need of a pick me up. 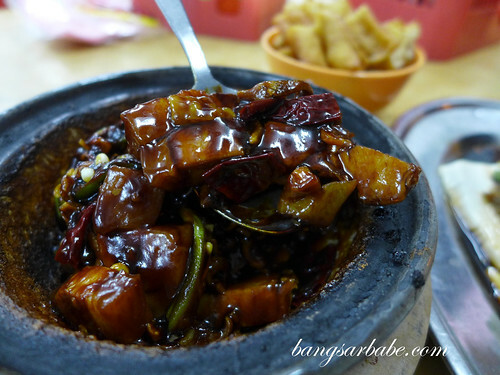 After 10 minutes on Google, we decided to try Yap Beng Bak Kut Teh (a branch from Klang) not too far from where we were. 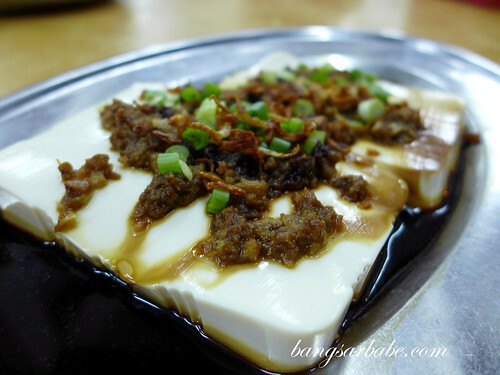 The restaurant is said to serve tasty dry bak kut teh and that was what we ordered. 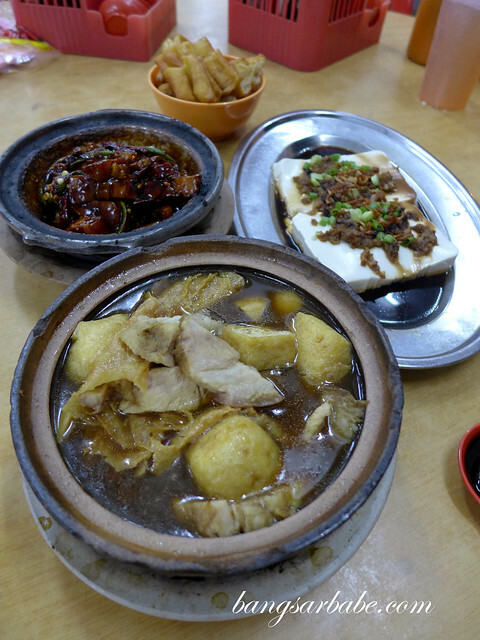 Along with a portion of soup bak kut teh and steamed white tofu with minced meat. Alas, the food was a letdown. 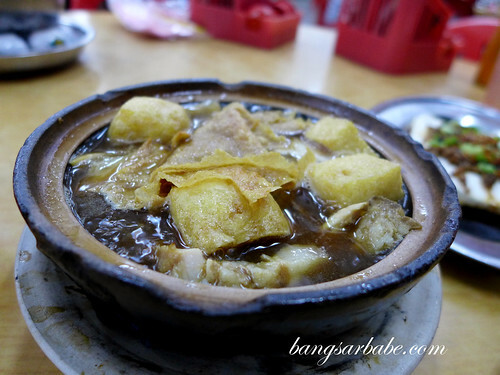 The dry bak kut teh has a one-dimensional flavour — it was as though they used only dark soy sauce to flavour the dish. There was little or no aroma to this and I found the meat hardly tender. 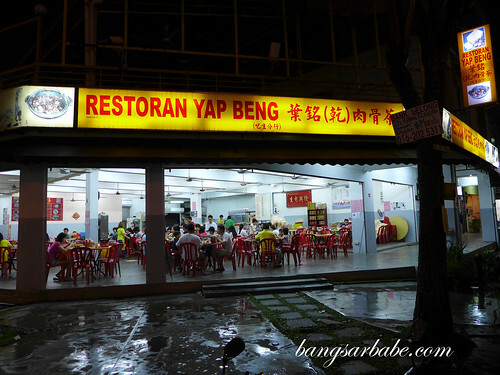 Nothing like what I had from Yap Beng in Klang. The soup bak kut teh was equally disappointing. The broth was insipid and didn’t make an impression. This did nothing to flavour the yau char kwai we ordered. The meat was fairly tender but the mild flavour of the broth didn’t quite penetrate through, leaving it rather bland. Steamed tofu was recommended by the waiter and this was nothing to shout about; I still don’t get why he recommended this. The bill came up to about RM35 for the above. Not expensive but the experience doesn’t warrant another visit. Verdict: I found the food very average. Try this only if you’re within the area. I’m not too familiar with Serdang. Can you share the name of this shop?